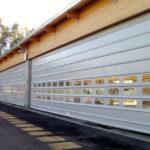 Megapack high speed fold up doors are the ideal solution for closing large compartments, e.g. 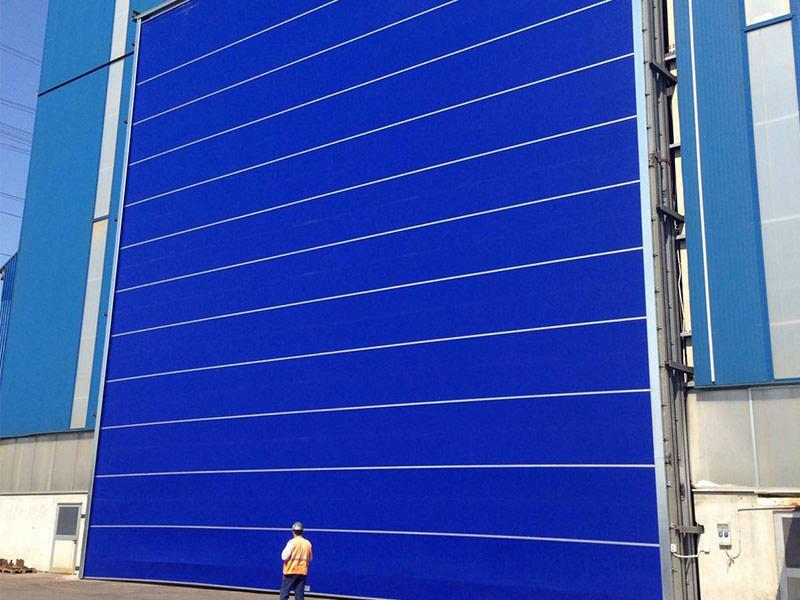 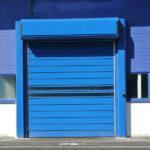 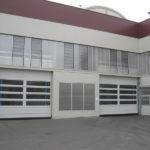 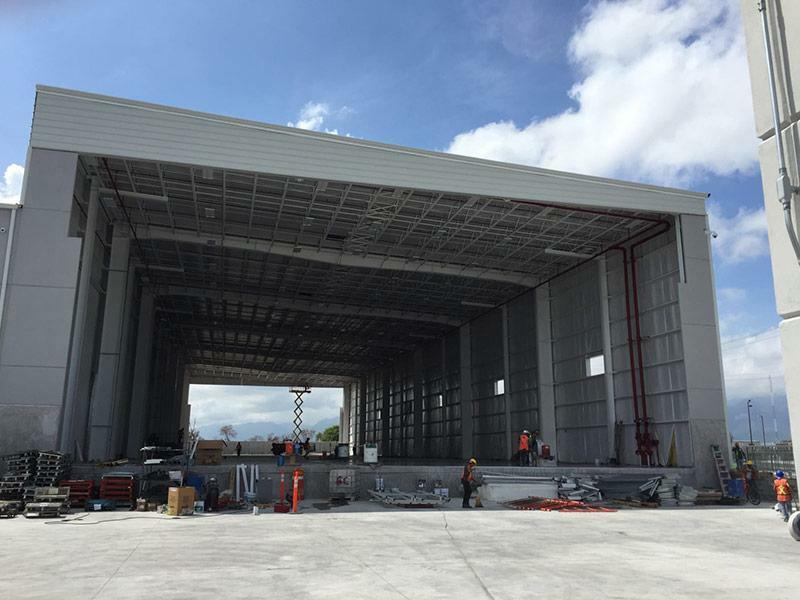 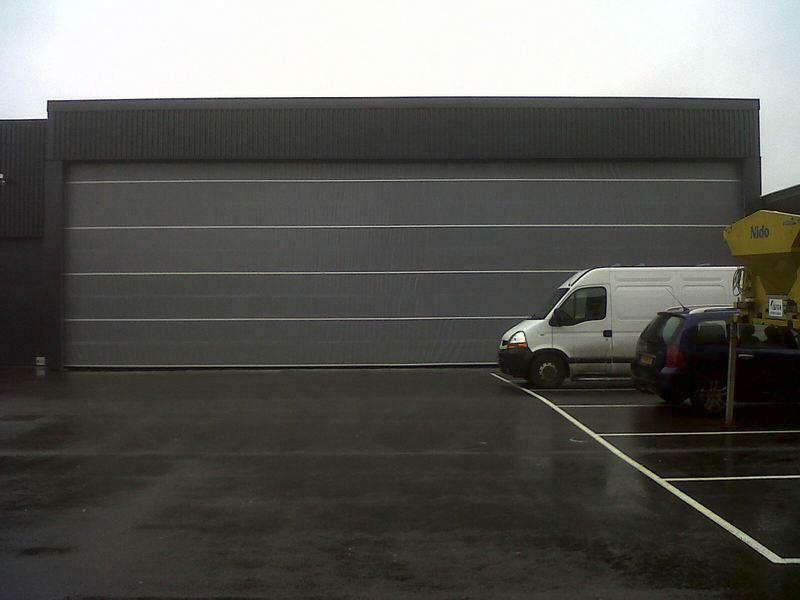 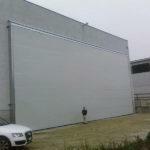 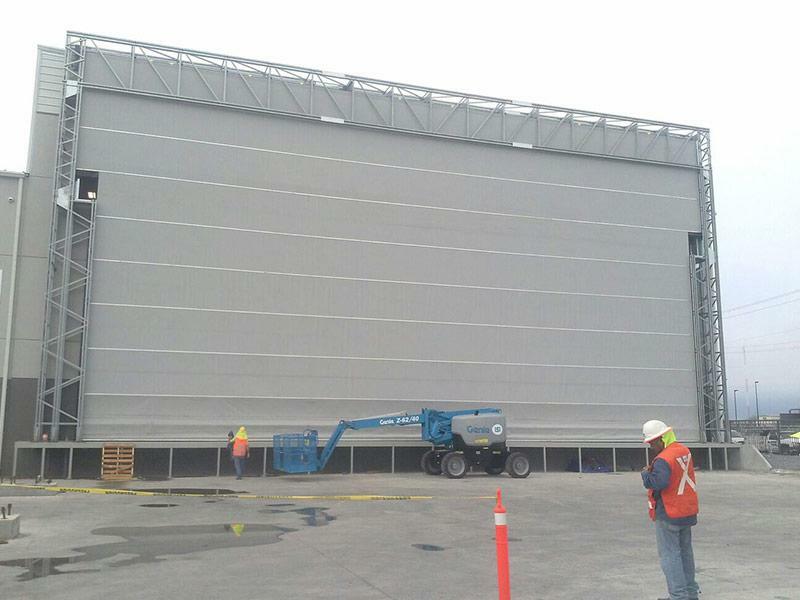 as hangar doors or warehouse doors. 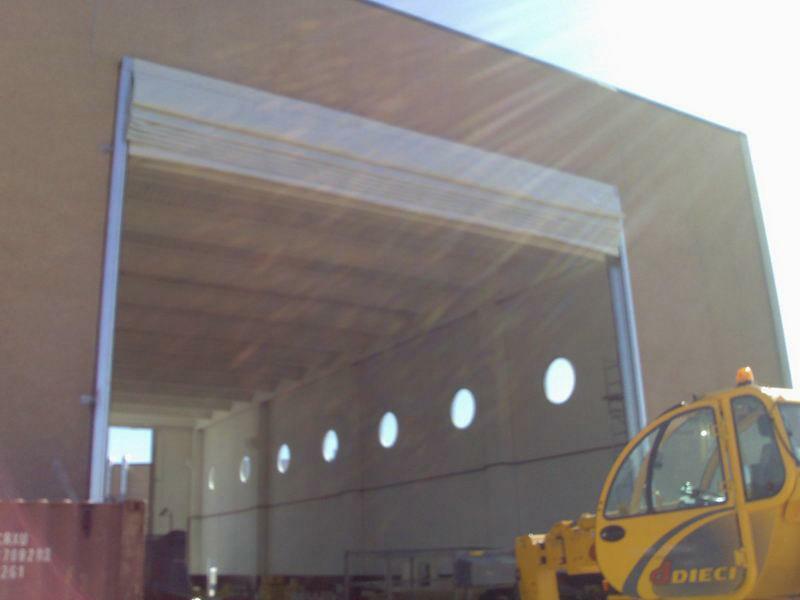 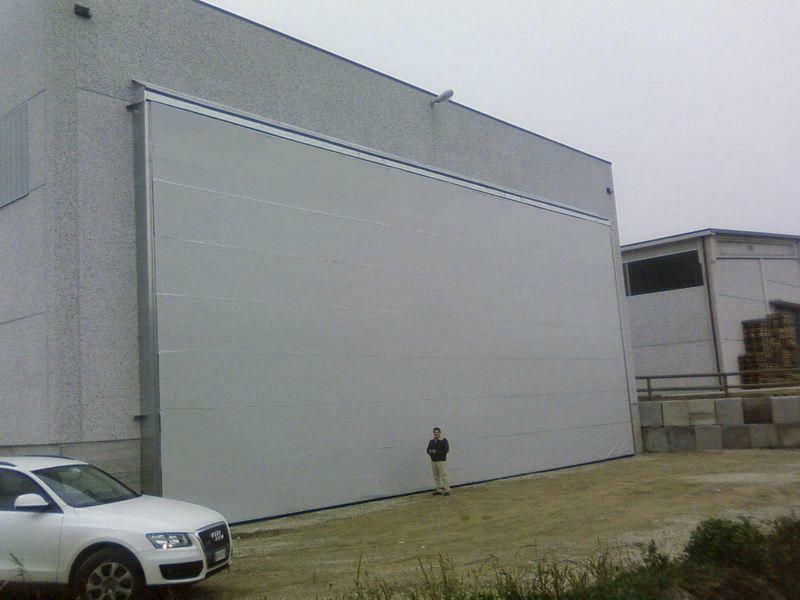 Consisting of a double sheet and a mesh structure in galvanised steel, MEGAPACK® industrial rapid doors are designed for extreme industrial environments, where there are large openings and where it is necessary to make large logistical movements, guaranteeing maximum safety, speed and resistance to strong winds. 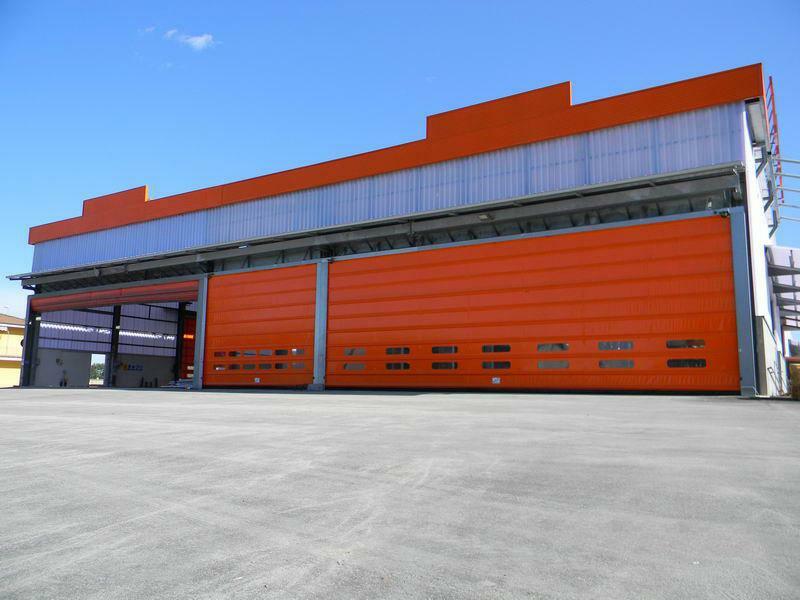 Megapack high speed industrial roll up door ensures high durability, energy saving and reliability, with minimum maintenance. 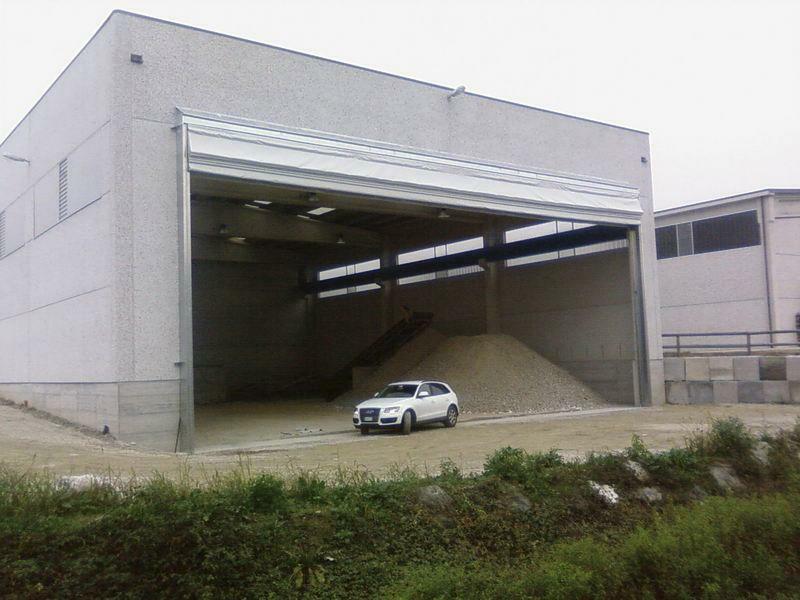 The upper crossbeam is made of hot dip galvanized steel, suitable to support the gear motor, the bearings, the roller, the lifting straps and the door itself. 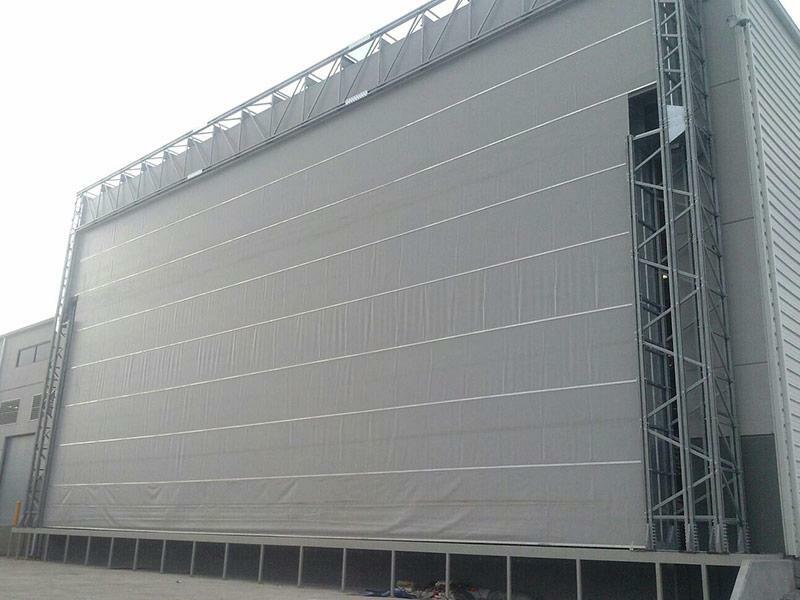 Our standard model consists of two polyester panels covered with pvc and placed within double ogive profiles, located at the ends of the horizontal bar, riding on two side columns to relieve wind pressure by means of dense profiles. 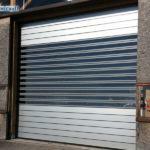 This way, friction and noise are reduced during opening and closing operations. 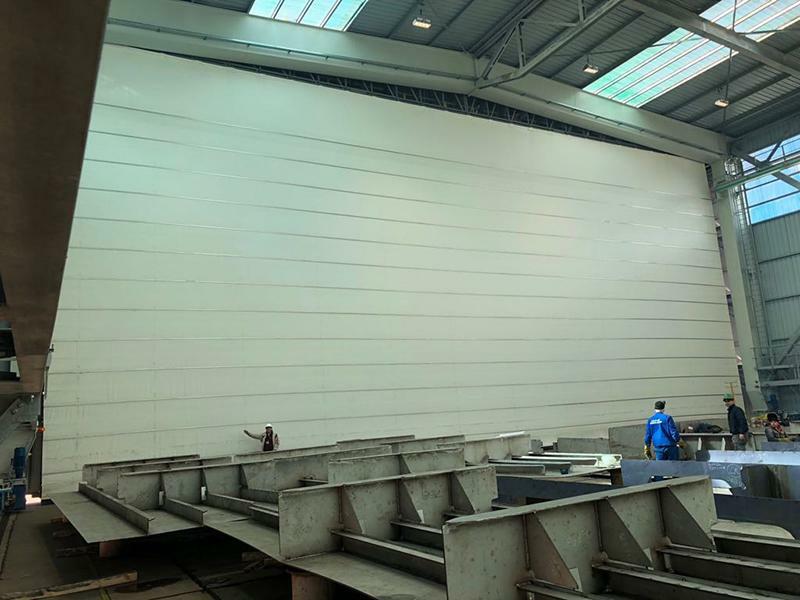 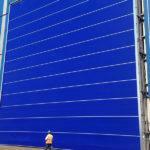 Moreover, the panel consists of individual sections, so that, in case of damage or wear and tear, there is no need to replace the entire panel but only the damaged section. 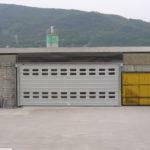 The horizontal bars consist of bolted aluminium profiles designed to withstand strong winds and customized based on the needs of our customers and the peculiarities of the area where the door is installed. 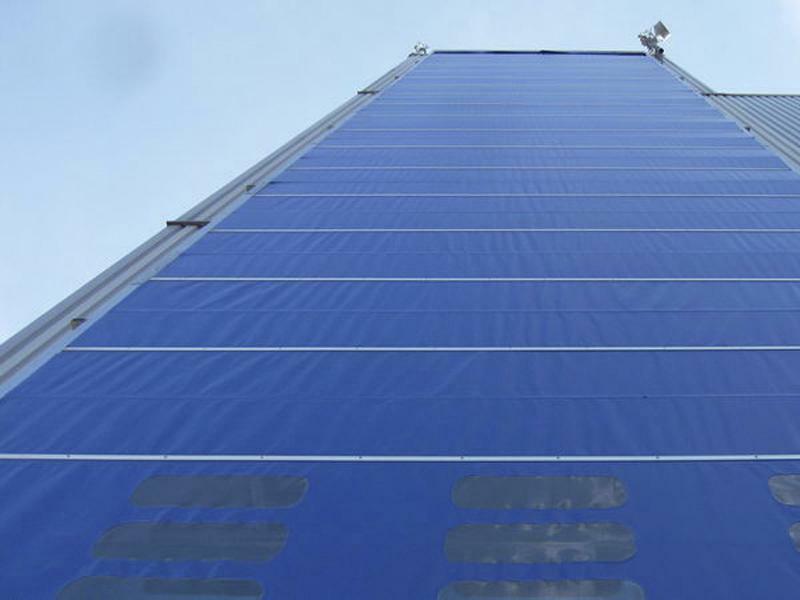 The columns are made of galvanized steel, also appropriately sized and shaped to withstand even strong winds. 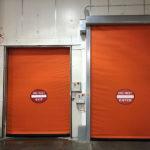 These fold up industrial doors are equipped with 380 V three-phase ventilated brake motors and coupled with the strap roller by means of flexible couplings. 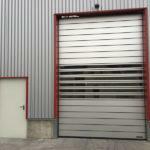 They are customised according to the size of the door. 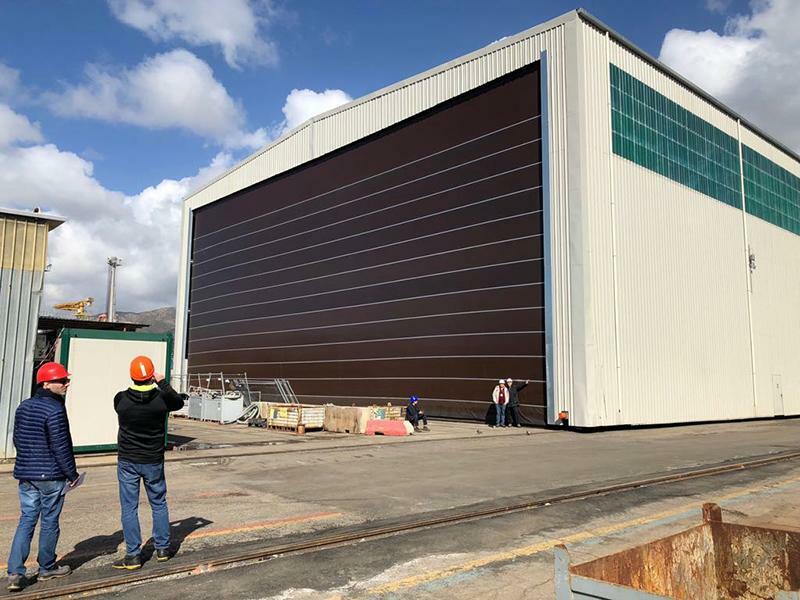 Each door is individually designed to be customized and to withstand winds and bad weather, which can be different based on the area where the product is installed.